NGL offers direct employment for more than 280 permanent and casual workers and 1,250 contract workers, predominantly during the peak harvest. About 70% of the workers are indigenes from local communities within the catchment area of the company. Providing jobs means enhancing the quality and economic life of the people in the community. Through our commissioned agents, NGL buys FFB from farmers at farm gate, thereby taking the burden of looking for prospective buyers off the shoulders of our farmers. 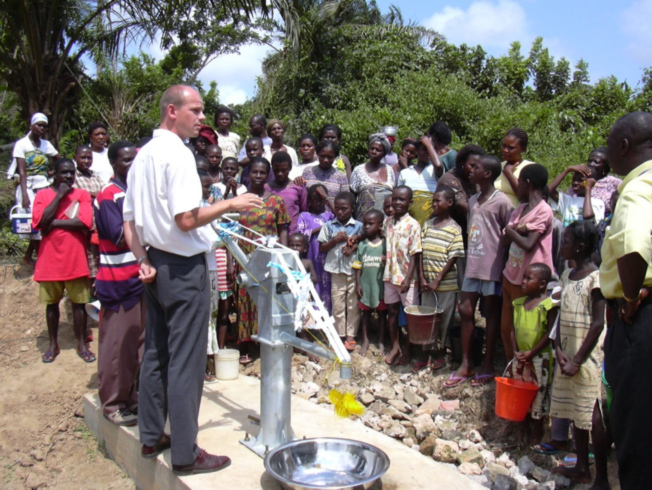 Our business depends on the health of the community, so in 2004 Norpalm in collaboration with Norwegian Development Agency (NORAD), provided 7 mechanized boreholes to four communities within it’s the catchment area of the company at a cost of $300,000. The Hon. 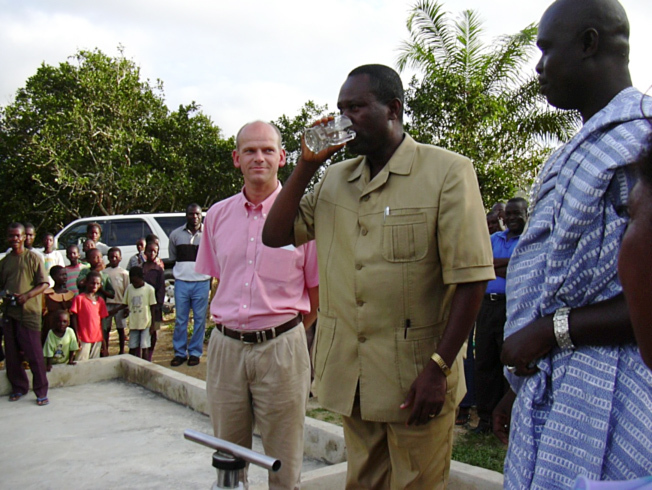 Joseph Boahen-Aidoo, Former Western Regional Minister, taking a sip of water from the commissioned borehole whilst the Omanhene of Mpohor Community and the former GM of Norpalm observe with joy. Who trained the 30 Peer Educators on HIV/AIDS awareness. Before the training SMFG conducted a baseline survey to ascertain the level prevalence of HIV/AIDS prevalence from four communities. Peer Educators were selected from the 4 communities where the baseline study was conducted and trained on HIV/AIDS and Voluntary Testing and counselling. The essence of this training was to make the residents of the communities healthy and prevent them from contracting the HIV/AIDS disease. Scholarship. In 2011, NGL awarded 4 scholarships to Senior High School students. The students are the wards of farmers who supply NGL with palm fruits and the children of the residents of Mpohor and Ahanta West Districts. By early 2013, the number of scholarship beneficiaries will increase to 10. The performances of the students are monitored by an independent committee constituted by the management of the company. On the average NGL admits 20 students per year for skill development and industrial attachment. Consistently, NGL supports the annual Science and maths workshop for Junior High School girls within Mpohor and Ahanta West districts were the company is located. NGL has been sponsoring the best Science and Maths Teacher awards in the two districts (MDA & AWDA). NGL also supports ICT education by providing Computers, building and Educational materials to basic schools in some deprived communities within its catchment area. 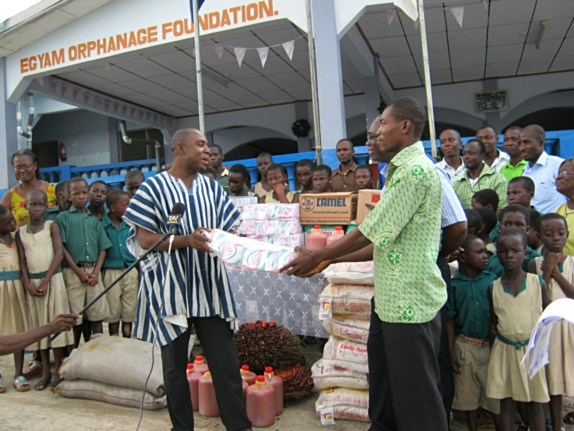 Support for School Feeding Programme. 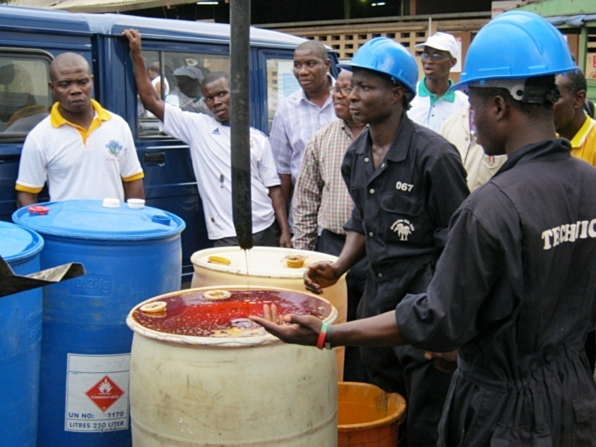 For the last three years beginning from 2009, NGL supplied good quality palm oil for 10 selected government assisted Senior High Schools and Two training Nursing Training Colleges in the Western Region of Ghana. This is support of the government’s school feeding programme. NGL has been very instrumental in the sensitization of the communities on the worst forms of Child Labour that affects the child’s Education, health and development. This has helped a great deal to improve school enrolment. Contribution to Presidential Special Initiative (PSI) on Oil Palm. In support of the government’s sustainable source of livelihood for the underprivileged, NGL gave its fullest support for the PSI initiative on Oil Palm in 2004 by raising 500,000 high yielding and wilt resistant variety of Oil Palm seedlings to 1,000 out grower farmers within the area of operation of NGL. Eight years on and NGL is benefitting from the fruits from the PSI initiative to feed its factory whilst farmers are also earning decent income from the sale of FFB to NGL. Through the participation in the PSI initiative a strong bond of friendship has been established between the company and the out grower farmers and NGL has succeeded in developing a strong network of suppliers and business partners which has ensured the financial viability of the company. NGL is strategising to leverage on this bond of friendship and maintain its market leadership in the OFP market. On annual basis, NGL supports the Regional and Districts Farmers’ Awards Day for hard working farmers and by so doing increasing agricultural productivity in the Ghana. NGL organises its own companywide Farmers’ Awards Day for the out grower farmers who continuously, since the inception of NGL, supply FFB to the factory. In reciprocation of this gesture, NGL offers Extension and Technical services and opening up the bad access roads in the hinterlands for the out grower farmers to make farming a bit easier for them. A social forum christened ‘Social Interaction’ is organised yearly for the landowners of NGL lands where the concerns of both the landowners and the company are discussed on a win-win basis. 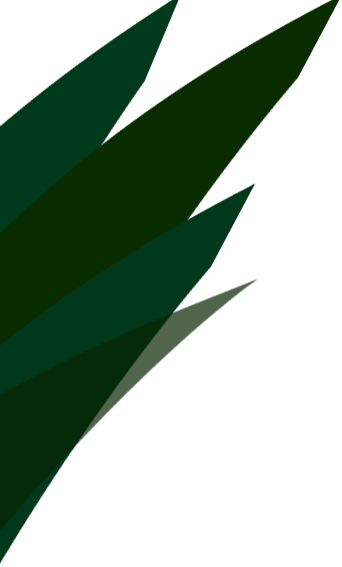 The social interaction has established a lasting and solid relationship between the landowners and the company. As a sign of respect for the culture and traditions of the area where NGL operates, the company supports the celebration of the annual Kundum festival of all the 13 communities that that contribute land to Norpalm. Staff of NGL contributes annually to support poverty alleviation ventures by making donations from their salaries and purchasing food items and provisions to the vulnerable in society such as orphanages. In 2011 a donation was made to Egyam Orphanage. The Manager of the Egyam Orphanage receiving Food items & Provisions from theLocal Union Chairman whilst the HR Manager of Norpalm lends a helping hand. 7. From 2000 to date NGL has paid Ground Rent of GHC 105,000 to the regional Stool Lands Administration at Sekondi. By supporting and participating in the activities of these business associations whose core mandate includes advocacy, training, research and development, NGL is assisting in building strong institutions that enforce best practices to create a healthy society and make the world a better place to live in. To translate our corporate philosophy that our business thrives on the health of the community, NGL has for the past three years (2009 to 2011) sponsored the Western Regional Golf Open to ensure that the business community stays healthy whilst NGL benefits from the business networking with the business associates who participate in the Golf open and also leverage on the opportunity to brand NGL as a good corporate citizen. NGL aligns itself to the philosophy that our communities thrive on the sustainability of our company therefore periodically employees of the company donate blood to the Western Regional Hospital (ENRH) to save lives. 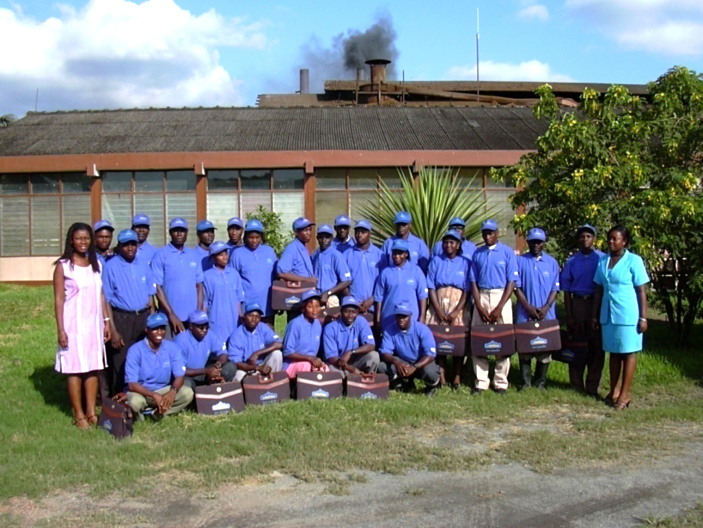 Employees of the company are gearing up to make similar donation in 2013.